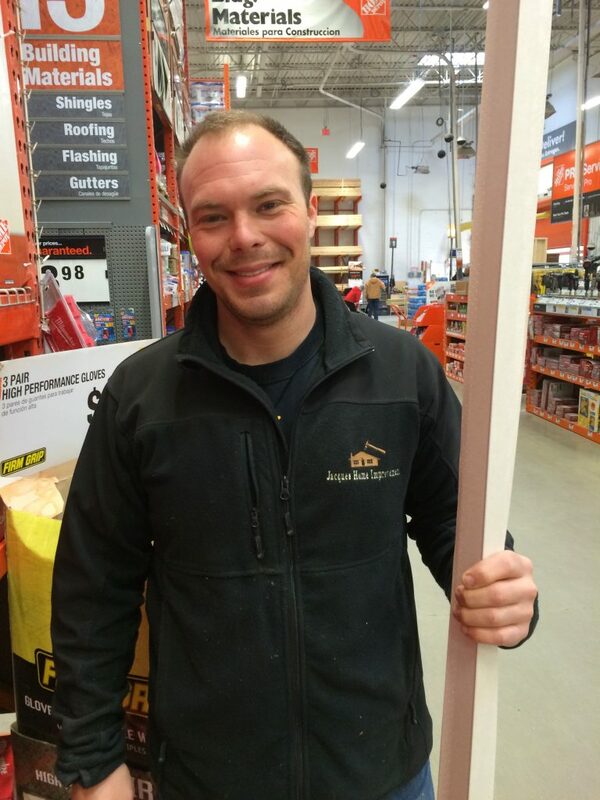 Justin Jaques is a home improvement contractor who also specializes in hanging holiday lights. Here’s his advice for homeowners on working with contractors to hang and maintain festive outdoor lighting. Why should a homeowner call a contractor to hang their holiday lights? What kind of designs do you see for holiday lights? What kind of lights do you recommend? What about LEDs and other energy-efficient options? How many lights can you string together and plug into one plug? When should holiday lights go up? How do homeowners make sure they don’t overload their circuits with all the lights they install? What special considerations are there for putting lights on and around roofs? Are some roofs better suited for lights and other holiday displays than others? Do you ever notice repairs that should be made to the roof when you’re installing the lights? What if there’s a blizzard or torrential rains? What happens to the lights? Do you install timers to automate when the lights go on and off? Who owns the lights you install? What does it cost to have someone install lights? How soon after the New Year do you take the lights down? Do you ever leave the lights up all year? People are getting busier all the time—especially around the chaotic holiday season—and find they don’t have time to hang lights themselves. In that case, get on a contractor’s schedule early so you’re sure you get the help you need. I start getting calls mid-summer and through the fall about hanging lights. I can only do so many, so I make a schedule of when people want their lights up, how big their job is, and when I can do it. You won’t need a contractor to hang lights for a simple railing, of course. But if you want to do roof lines and big trees, it’s probably safer and easier to hire an expert. I hear from a lot of homeowners who don’t want their family members on ladders or climbing around on the roof, but they still want an elaborate holiday decoration. That’s when they call in a contractor. Also, some people just get scared climbing ladders, especially if they have to carry lights. In that case, it’s definitely better to get help. Many people like to highlight roof lines, or wrap the branches and the trunk of an entire tree in bright twinkly lights. The family-oriented households usually put more icicle lights on houses, and colorful lights on bushes. Using only white lights is a bit more sophisticated and formal. The benefits of LED lights is that they use less energy, and the bulbs themselves may be more durable than conventional mini lights. The downside is that they’re more expensive to buy initially, and they may not have the perfect color. White LEDs come as either warm white or cool white. Cool emits a somewhat bluish look, and warm white is the closest to what most of us are used to—though they’re still not as warm, or yellowish, as the old incandescents. But over time, that will probably change. Consumers are demanding better LEDs, and now about 90% of holiday lights being sold are LEDs. You can connect 10 times as many strings of LEDs together as you can with the conventional bulbs. Always read the label on the package and follow the directions about how many strings of light to plug in, end to end, and then to a plug or extension cord. Some people like to put them up around Thanksgiving. Most people will want them up by early December. I usually starting putting up lights around November 2. If you’re wrapping trees, you can do that a little earlier because the lights aren’t that visible. I always install with the lights in the house on, so that I know when something trips a circuit—never install lights that aren’t plugged in! Follow the directions on the box, and plug end to end. Sometimes fuses will blow if too many lights are connected, so follow the directions about the capacity that can be tolerated. Protecting outdoor plugs from the rain and wet weather also helps. Rain can trip a GFI outlet to shut the power off. It helps to wrap plug connectors with electrical tape, or to use a little protective case for it. But overall, it depends on how much you have plugged into one circuit. Most circuits can take up to 10 devices plugged in, though in some cases, like a microwave, the power demand is great and, therefore, limits what can be used on any given plug. Of course, safety is a major consideration. You don’t want to be climbing on a roof when it’s wet or icy. Also, you want to use something that won’t damage the roof to attach the lights. You can buy a multifunctional roof clip so you’re not tacking or nailing anything to the roof. The clip connects to asphalt shingles, slate tiles, and gutters. Asphalt is nice because the clip slides smoothly in between roofing shingles. Slate is harder to work with because you can’t work easily in between the slabs of slate. Plus, slate is slick, so roof clips might not fasten as tightly there as they do on asphalt. Cedar shingles can also be challenging to light. They’re a little more maneuverable than slate, but can break very easily. You never want to force a clip onto slate or cedar, as they could break. For the best and easiest place, attach your lights to your gutters! If I do, I’ll mention it to the homeowner. For a slight fee, I’ll repair gutters if I see the need. Some homeowners also ask me to clean the gutters as we’re installing the lights, which I do for an additional charge. I use a generous amount of roof clips on the roof to prevent lights from being blown off or to keep sections from sagging due to wind—which can flip icicle lights up on to the roof—then we’ll get called back to reposition the lights. Heavy snow storms can pull lights down a little bit, but we actually don’t have too many issues with snow. Wind is a bigger problem. Ninety percent of the jobs have timers, and I highly recommend them. A timer costs only $15, which is worth it because it makes turning the lights on and off so convenient. Timers give you the option of having the lights on 2, 4, 6, or 8 hours. They also offer a constant on, constant off, dusk to dawn feature. I usually recommend 6 to 8 hours. The lights come on around 5 just as it’s getting dark, and then automatically shut off around 11. Sometimes people already have lights, or want to buy them themselves. Others want me to buy them. Clients can also buy their lights off my truck, because I keep a full supply handy. Or, I’ll buy a whole new set of lights for that job, and the client pays for the lights. I can also give a client a detailed list, then the client can buy the lights, which will save them the labor cost of me doing it. I charge by the hour, rather than the job. It’s a risky job, because I’m on a ladder, so the client does pay for that. I may have one or two employees helping me, so the client also pays those labor charges. It depends on the homeowner. Some like the lights to come down right away, others leave them up through January or even into the spring. I don’t recommend it. Most warranties on the lighting box recommend not leaving the lights up longer than three months, though the lights may have a three-year warranty. But wires get dry rot and break down, so it’s better to bring the in after the holidays. If people do want lights all year round on their trees, for example, I’ll string them loosely so as not to choke the trees as they grow. Even then, I’ll probably replace the lights every two years. It’s always best to hire a local roof repair expert to help with projects like this.